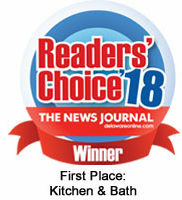 Voted The #1 Kitchen Remodeling Company in Delaware –Year After Year! 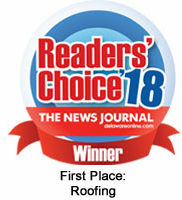 If you’re looking for the best local Wilmington Delaware kitchen builders, you have found us! Voted Delaware’s #1 Home Improvement Company 7 years in a row by the Wilmington Delaware NewsJournal Readers’ Choice Awards, our family-owned and operated business boasts excellent customer service and craftsmanship. Wilmington Delaware home improvement team specializes in a wide variety of kitchen remodeling, and we are experts in partnering with our customers to achieve their kitchen remodel goals. Our kitchen and bath design team boasts over 50 years of combined experience to help make your dream kitchen a reality. Come check out our showroom to get a real impression of our kitchen cabinets and get inspired for your custom kitchen renovation. 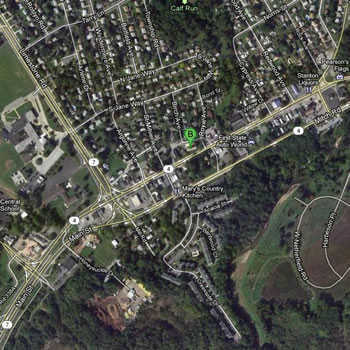 We are conveniently located on Kirkwood Highway in Newark, Delaware. Do You Need Help Selecting the Right Kitchen Countertop? Stop by our showroom conveniently located on Kirkwood Highway in Newark Delaware. We can help make your Kitchen Renovation dreams a reality! We are one of the top kitchen contractors & bath contractors in Newark, Delaware and surrounding areas, and we are partnered with local suppliers to offer you several resources as you plan your remodel. Browse our latest projects to see how we can help with your repair needs.